Bennett Rossell is from La Crescenta, CA and grew up recreating in the Angeles and San Bernardino forests. After earning a BA in Philosophy from UC Riverside, his first opportunity to work in the outdoor recreation industry resulted in the creation of Tennessee’s first commercial mountain bike park, a coordination between private and public groups and interests. 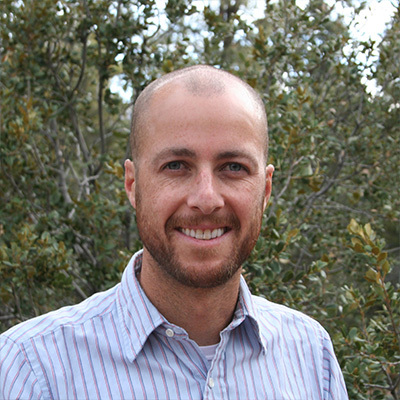 Bennett now makes a greater impact promoting trail stewardship and improving trails in his native California in Big Bear. Rossell directs the Non-Motorized Big Bear Trails Program with the Southern California Mountains Foundation. Bennett, his wife, and three children are avid cyclists, climbers, and adventurers.